Amsterdam's Stedelijk Museum has cancelled a major retrospective of work by Memphis group founder Ettore Sottsass, blaming the architects' representatives for attempting to "dictate" its curation. The retrospective, which would have been the first overview of the Italian designer to take place in the Netherlands, was meant to open this Spring. However, Sottsass' relatives and representatives withdrew their agreement to loan works to the museum, following lengthy discussions regarding the exhibition content and layout. They also denied permission to allow the publication of Sottsass' texts. "I regret that the museum felt compelled to take this decision," said Stedelijk interim director Jan Willem Sieburgh. "We were looking forward to working with heirs to produce an exceptional, public-friendly exhibition about Ettore Sottsass. Months of discussions, however, proved fruitless." "As a museum, we cannot and will not allow the way in which we conceive our exhibitions to be dictated to us," he continued. "Heirs and the gallery owner gave too little scope for interpretations we wished to explore in the presentation." Curators at the museum planned to present the work of the Italian designer thematically, as opposed to the standard chronological format. 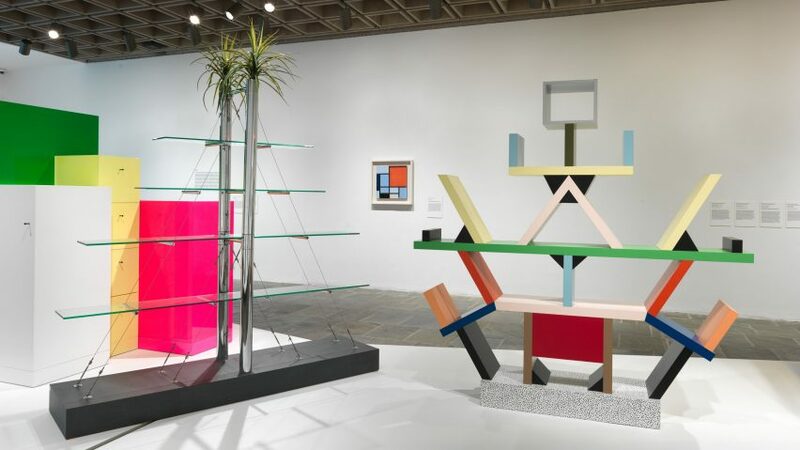 They also wanted to combine work from different decades and disciplines, as well as display works by other Memphis group members to illustrate Sottsass' influence on younger designers – claiming that this did not match the vision outlined by the Sottsass estate. "After communicating about the show already for over a year without any problem, several disagreements arose," curator Ingeborg de Roode told Dezeen. "The widow of Sottsass, Barbara Radice, wanted us to change our exhibition concept because of these." "The first disagreement was about the fact that we wanted to show the work in themes instead of a chronological order, which was done in most overviews about Sottsass. "The second disagreement was about our desire to show the inspirational role Sottsass played for younger designers, especially during the Memphis period." Sottsass relatives brand museum's statement "misleading"
But a statement issued today, 23 January 2018, by his widow Barbara Radice and close friend Ernest Mourmans, described the museum's claims as "misleading". "Rather than enter into a constructive dialogue, for the past few months the curator chose to conduct the conversation about this exhibition in an adversarial and divisive fashion," read the statement. "In that spirit, she also refused to detail her curatorial outline of the exhibition and her choice of works until a late date." "At that point, the estate could only either relent to pressure or seek a dialogue to balance Sottsass' spirit and legacy with a museum team that had done little research and was more interested in the public relations aspect of the exhibition." The Stedelijk currently owns 80 works by Sottsass itself, as well as a large number of the Memphis archives from Sottsass' personal collection, including design sketches, posters, catalogues and textile samples from the young designers who worked with him. Despite this, the museum did not want to carry on the retrospective without the cooperation of the Sottsass representatives. "Although the Stedelijk owns work that represents the entire spectrum of Sottsass' oeuvre – 80 objects in total, and numerous museums and collectors had agreed to loan works – the museum feels that it cannot justifiably allow the exhibition to proceed without the cooperation of heirs and the gallery owner," they said. "From 1968 until the death of the designer in 2007, the Stedelijk maintained a close personal relationship with Sottsass. In recent years, the museum acquired seminal pieces from his oeuvre, ranging from a Superbox cabinet produced in the late 1960s, to Vase no. 10 which dates from 2006," they continued. Research carried out on behalf of the exhibition will be shared with the public through other outlets, according to the museum. A key figure in postmodernism, Sottsass formed the Milan-based Memphis group in 1980 at the age of 60. Other members include Michele De Lucchi, Martine Bedin and Nathalie du Pasquier.